by University Church member Brenda Trapani. "Charm is deceptive, and beauty is fleeting; but a woman who fears the Lord is to be praised. This Sabbath, we are once again blessed by what has become a biyearly tradition. Tonya Wessman's first and second grade class leads our children's story time with a dramatic presentation on the platform. This week, we enjoy The Parable of the Good Samaritan. Wessman directs and has written this play herself, and each one of her students is involved in the production. 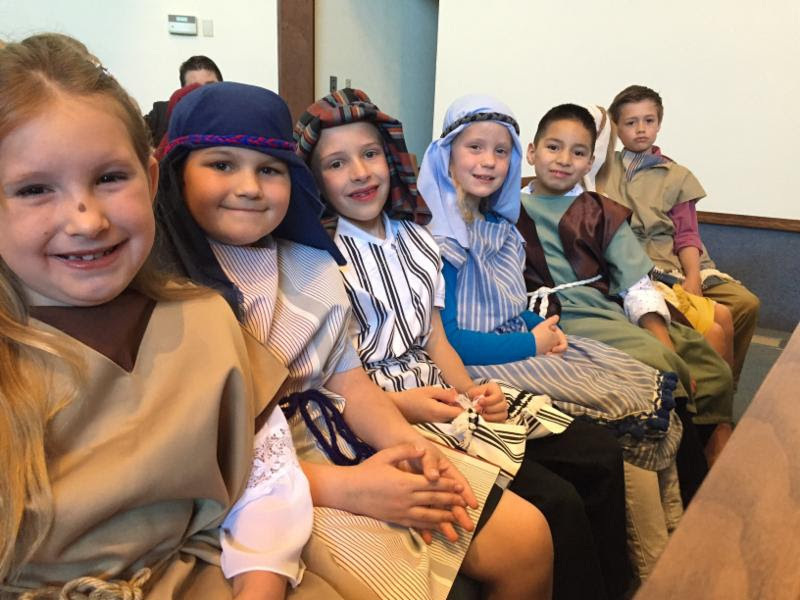 Rogers Adventist School is one of the University Church's key ministry partners. In fact, a large percentage of our local church budget subsidizes Rogers. Registration for the 2016-17 school year is now open. Visit rschool.org and click "Join Us" to begin the process of registering your child! It is the time of year when we begin mourning the departure of graduating students we’ve come not only to love but to depend on for sharing their wonderful music talent with us. Today we thank two graduating seniors. Joel Willard plays the anthem and Katie Sloop serves as our guest organist. We also welcome and thank Kendra Haugen, both for the offertory and for being a sophomore. We look forward to more music from you! Join the Christian Aid Center for a special tour planned for University Church Members. Stop by the Christian Aid Center located at 202 W. Birch St. in Walla Walla. Visit any time between 3-5pm Sabbath afternoon, May 14, and you’ll get a taste of the amazing work the center accomplishes. You don’t want to miss this opportunity! Retirement reception for Clare Thompson, principal and former teacher at Rogers Adventist School, Wednesday, May 18 at 5:30 – 6:25 pm at WWVA’s multi-purpose room. RAS Spring Concert will be starting at 6:30 pm. 50-Plus Club Potluck, Sunday, May 15, at 5:00 p.m. in the Youth Center. Musical program will be presented by Keifer Brown, one of Ben Gish’s talented students. This will be the last 50-Plus program until September 18.